You are currently browsing the Archaeofacts.com archives of Musings for the day Saturday, September 23rd, 2017. 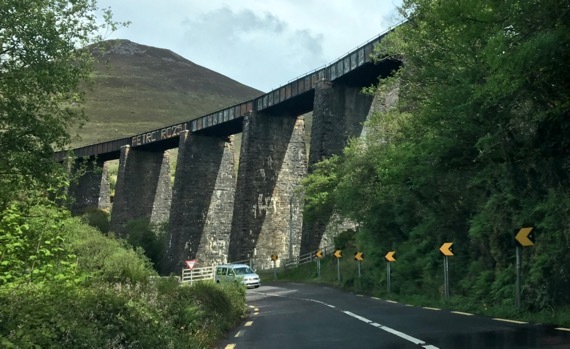 This Great Southern and Western Railway bridge is on the northwestern arc of the Ring of Kerry, west of Dooks (not Doors, auto-correct). Love the contrasting wedges of shadow and light on the uprights.